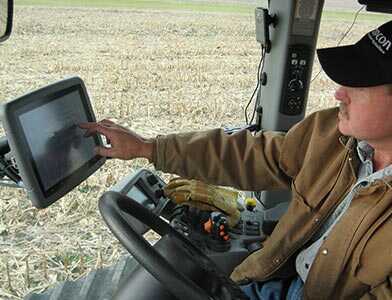 Consoles and Displays for Ag | Topcon Positioning Systems, Inc.
Topcon consoles and displays deliver powerful functionality with intuitive interfaces. Topcon values of ruggedness and feature-rich functionality will power your productivity. 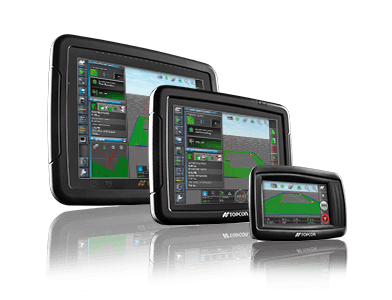 The Topcon X Family of multi-touch consoles brings innovative, industry-leading performance and ease-of-use to virtually any size or type of production farming operation. These full-color touchscreen displays take precision machine control to new levels of performance and ease-of-use for the producer seeking to improve operational efficiency and reduce input costs. All Topcon consoles and displays are designed to make your work easier by being simple to learn, easy to use, and fully capable. The X Family consoles all employ Horizon software, making transtioning from one model to another much easier. The Topcon X Family consoles not only allow you to run your entire crop cycle from a single display, but as your operation grows, the X Family can grow with you. From the compact X14 to the full-featured X35, all united by Horizon software, we are ready to help you scale up, bringing expanded range and functionailty with each step. The Topcon X Family of multi-touch consoles brings innovative, industry-leading performance and ease-of-use to virtually any size or type of production farming operation. 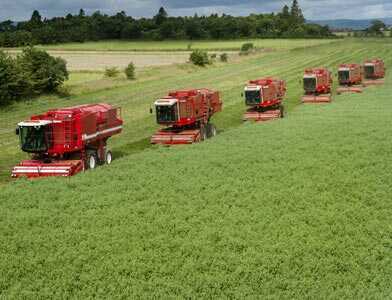 Our powerful and flexible software suite runs on the entire X Family of consoles, and drives the whole crop cycle of operations for your whole farm.